Black enamel large link necklace by Kenneth Jay Lane. 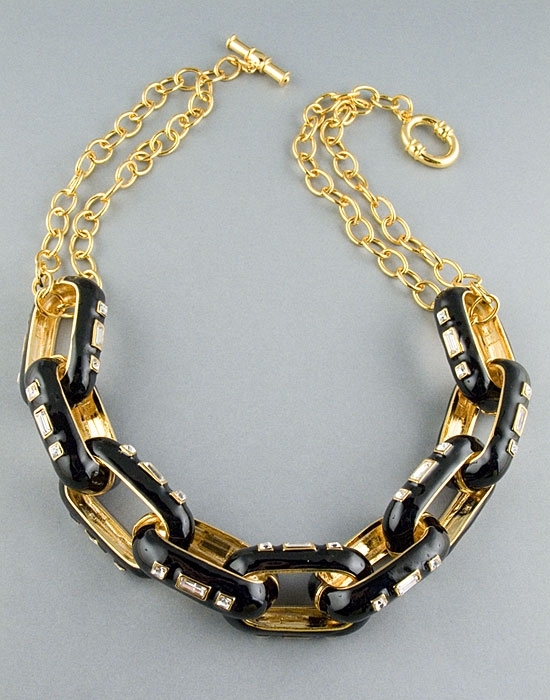 A statement piece of designer jewellery, this striking necklace features nine 43x25mm black enamel links dressed with swarovski crystals on both sides and hung by a double gold chain. Necklace measures 56cm /23" and closes with a toggle clasp. A statement piece of jewellery that will add instant glamour to any outfit. Also makes a wonderful gift idea.